One of my favorite parts of this time of year is the extra time spent outside. Now that we live on a farm, we spend even more time outdoors together as a family. One of our favorite activities is siting around the fire together. Every time we have an outdoor fire, my kids ask to make s’mores. Yesterday, we had a small bonfire to burn a bunch of dead bushes, apple tree trimmings, etc. The flames were just way too large to safely roast marshmallows, so we decided to make s’mores cookies instead. These cookies definitely pack the taste of graham crackers and chocolate. The marshmallow flavor is not as prominent, but you still get a hint of marshmallow when you sink your teeth into these cookies. 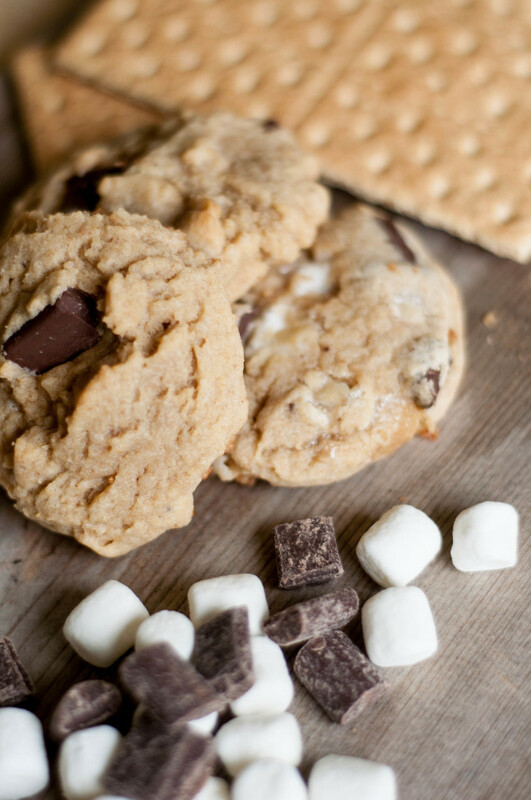 They’re soft, chewy, and a great alternative when the traditional s’more isn’t an option. Cream together butter, shortening, and sugars. Add egg and vanilla and mix well. Add in all dry ingredients (flour, graham cracker crumbs, baking powder, and salt) and mix until incorporated. Add in marshmallows and chocolate and mix. Scoop onto a cookie sheet (I LOVE my cookie scoop) (*aff link) and bake for approximately 10 minutes. Typically when I bake cookies, I remove them from the oven and let them continue to bake on the cookie sheet. However, the marshmallows tend to ooze out a bit during baking, so you’re going to want to immediately transfer these cookies to a wire cooling rack. The longer you leave them on the cookie sheet, the harder it is to transfer them to the rack. This recipe made 1 dozen cookies. Enjoy!! What a great cookie recipe. 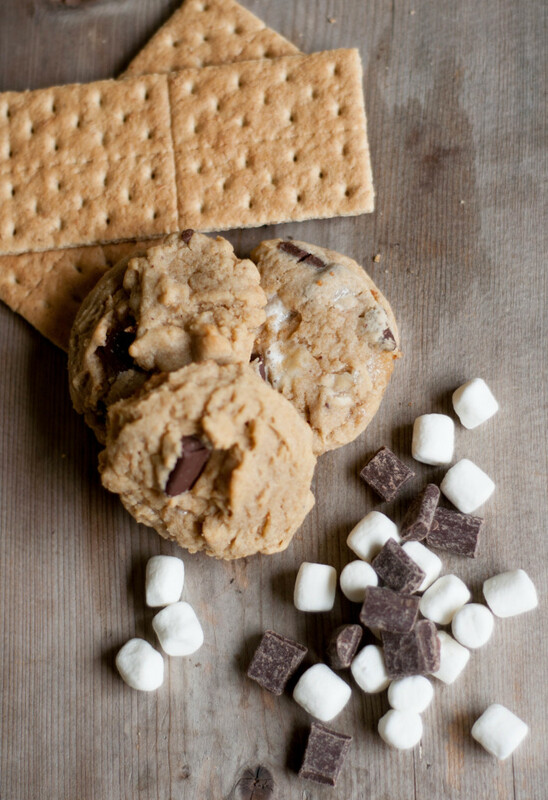 We love S’mores and would love to try these out. These sound so good! It’s my second favorite sweet combo. Going to make these cookies soon. You’re welcome! Hope you like them!